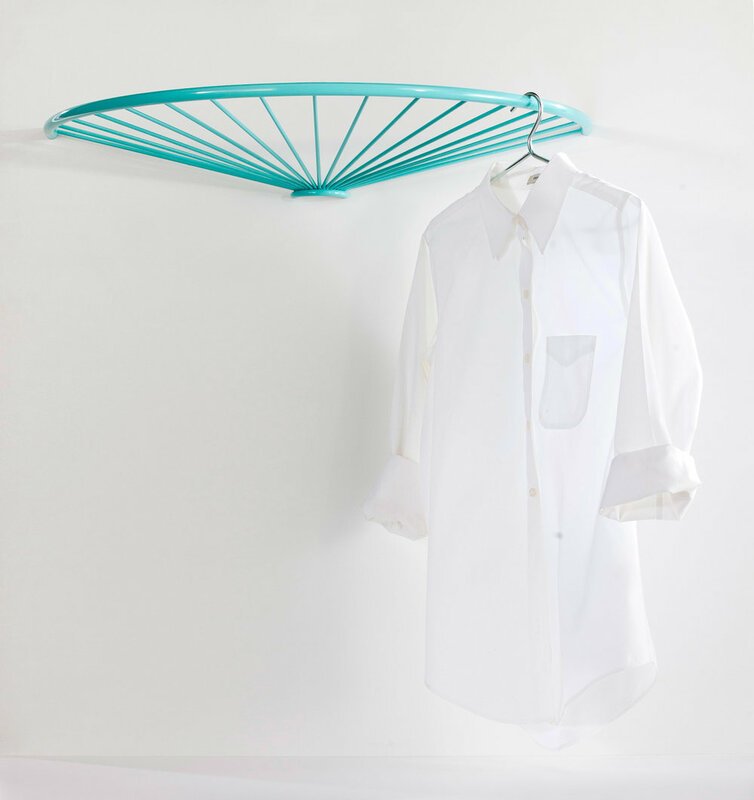 Pinna is a modernized interpretation of a hat shelf. In contrast to the traditional rectangular shelf, Pinna has the shape of a half circle that forms a basket-like structure. Its central part functions as a container for scarves and gloves and the rounded edge holds hangers for coats.